Once upon a time, there were two best friends. They grew up together and though they each felt more than friendship toward the other, as they got older, teenagers are sometimes very stupid and say things they don't mean in order to hide how they feel. And it's never easy to come back from that. Marco already believed what Oskar said, before he ever said it -- that is why it hurt so badly. That is why Marco never believed that Oskar didn't mean it. That is why saying he was sorry was never enough. So after 9 years of friendship, Marco shut the door and hid behind the hurt and the anger. Four years have past, though, and Oskar is back. He wants to make amends. He wants to tell Marco how he feels -- how he's always felt. Marco, though, is still deeply hurt and angry that he still cares. Pain is a hard thing to forget. Told in first person, present tense, from Marco's POV, True Colors is the story of Marco and Oskar. It tells how Marco learns to let go of things that cannot be changed, how he learns to accept himself, and how he learns to let Oskar in again. I felt so bad for Marco -- losing his mother, being scarred by the accident that killed her (mentally and physically) and feeling so alone. Marco was afraid to show anyone his body because he felt so ugly. And the one person that really mattered lost his trust. And Oskar really didn't mean what he said. It was stupid and hurtful and he has spent the last four years filled with regret and wanting only his Marco. He tried to move on, but it's only ever been Marco that Oskar has wanted. True Colors is a friends-to-enemies-to-lovers story done right. The hurt, the UST, the feelings that were still going strong. All of it. 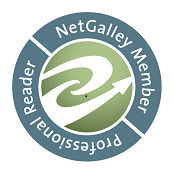 ARC of True Colors was generously provided by the author, via NetGalley, in exchange for an honest review.